Shortly before the holidays, Sailthru spoke to 2,000 consumers in the U.S. and the U.K. to understand their sentiments toward brick-and-mortar retail. One of our main takeaways was that shoppers prefer physical stores that are enhanced by digital technology. Ulta, for example. In November 2017, Ulta, the largest beauty retailer in the U.S., opened their first store in Manhattan. Features include laser facials, hairstylists, and plenty of omnichannel elements centered around Ulta’s extraordinarily popular app — there’s a 4.9-star rating, based on 380,000 reviews. And Ulta is just one of many future-forward flagships throughout New York City. Ulta boasts one of the best loyalty programs around. Ultamate Rewards has 27 million members, who drive more than 90% of the brand’s sales. The program lives inside Ulta’s app, which gives the brand’s Upper East Side store the perfect blend of brick and click. Ulta sells 28,000 products and the app makes it easy to figure out which ones are available at your local store. Other cool features include virtual try-on, voice search and the ability to make purchases with touch or face ID if you have an iPhone. In Nordstrom’s view, one thing that remains constant in our ever-changing world is consumers’ desire to shop on their own terms. The digital age has really broadened what’s possible there and as a result, Nordstrom’s new men’s store was designed as a bridge between on- and offline shopping experiences. Loyalty members can reserve items online to try in-store, eliminating the need to commit to a purchase, though picking up online orders in-store is also an option. Nordstrom also offers online tailoring appointments, an express returns kiosk and Style Boards, where sales associates send hand-picked product recommendations to shoppers’ smartphones. Nike’s new flagship of the future is massive, stunning and nips common shopping pain points right in the bud. Do you like what the mannequin is wearing? Scan his QR code to see the items, and have them sent to a fitting room or a register. In a rush? In-store pick-up has no lines; your purchases are already in a locker. Not seeing exactly what you’re looking for on the sales floor? Make your own sneakers in the customization wing. There are additional perks for Nike+ members, such as recommendations from Nike+ experts, who consider each customer’s individual style and sports preferences. Sustainable fashion brand Reformation’s physical locations are set up more like showrooms than stores. The floor displays consist of one of everything, allowing customers to see, touch and explore the products. They can then walk over to a touchscreen and request items to try on. Employees stock the fitting rooms, each of which has two doors: one for the customer and one that leads into the stockroom. Reformation lets customers know when their rooms are ready. Once inside, they can use another touchscreen to look up more information, ask for different sizes… or even play their own playlists. 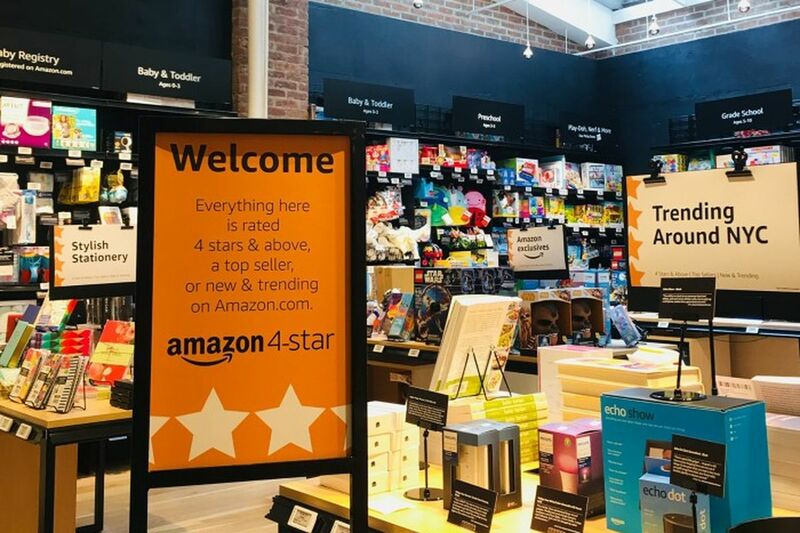 Amazon brings collaborative filtering to life with their SoHo store, where the entire inventory revolves around reviews. The store is highly curated based on sales data, reviews and customer ratings. However, those ratings come exclusively from local customers. The other two Amazon 4 Star stores, in the Bay Area and suburban Denver, have entirely different product lines. Inventory is diverse and spans every category: books, toys and games, consumer electronics, housewares and everything in between. But one thing they all have in common is that their electronic displays have plenty of product information. When legacy retailers shutter stores, do people care or even notice? 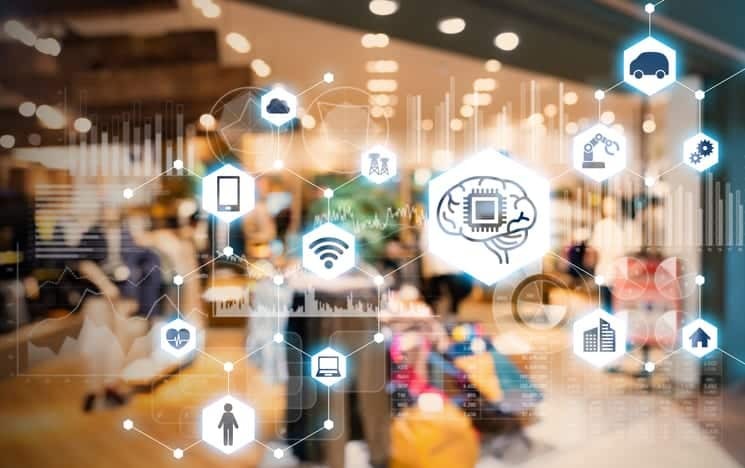 How does technology enhance the in-store experience? Download Brick-and-Mortar Blindness for insights from our survey about consumers’ attitudes toward physical retail.